The Pacific Northwest is well known for several things: abundant rain, fantastic coffee, grunge music, wearing socks with sandals, a love of green products (Happy 4/20!) and the great outdoors. 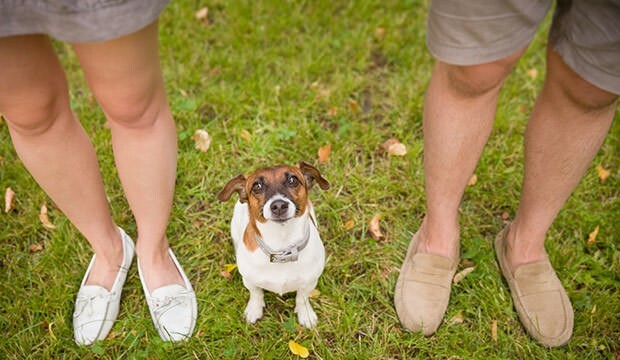 Thankfully you won’t see many of us sporting socks with open-toed footwear, but the folks here at Dog-On-It-Parks love nature and believe in going above and beyond to be eco-friendly. We are proud to have a dedicated team that recycles all our manufacturing scrap, as well as using recycled materials in our manufacturing process. Every day we choose to make products that are safer for dogs and better for the environment. It IS easy being green! When selecting materials, we always consider both durability and eco-friendliness, and aluminum is a clear winner in both categories. It is corrosion and rust proof, extremely durable, lighter weight than steel (makes for easier installation!) and can be recycled an unlimited number of times. The HDPE (high-density polyethylene) plastic in our products is also an ecological superstar. HDPE releases no harmful fumes, doesn’t contain BPA, phthalates, heavy metals or allergens, and uses 100% post-consumer waste products. Did you know that over 115 million milk jugs are recycled each year in the making of recycled plastic and that it tales about 21 milk jugs to create just one pound of HDPE? 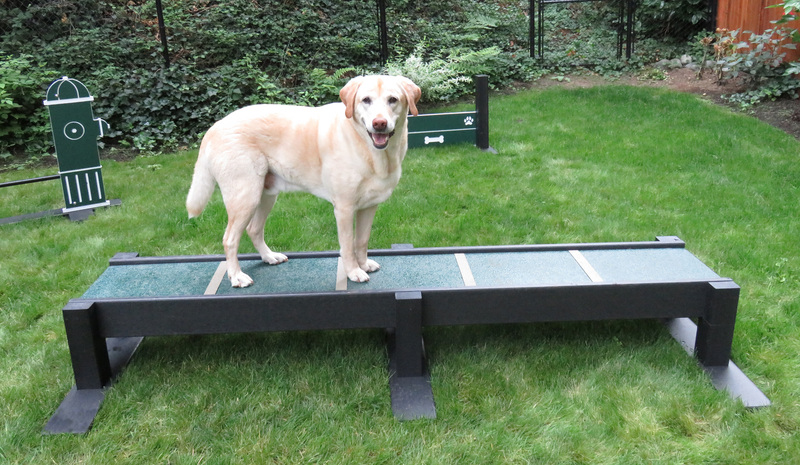 A few examples of our products that use both materials are our Hound Hurdles and Collie Crawl. Like the name suggests, our EcoDog line features materials you can feel good about. Made from 100% recycled content, these products help keep plastic out of our landfills. 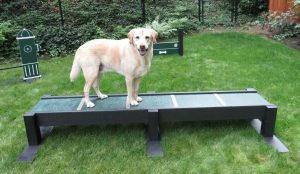 We are proud knowing that the aluminum and heavy-duty HDPE used in EcoDog were once consumer waste, and now have a new life in our dog agility components! Keeping in line with the natural theme, all the products are green with black accents and portable bases that don’t require concrete footers. These are ideal for seasonal dog parks as the components can be stored in the off season, and also for off-leash areas who want the flexibility of re-arranging their agility course. It may come as a surprise to learn that stainless steel is a green product! Due to its ability to be recycled, as well as producing a low carbon footprint, stainless steel is the preferred material for green building throughout the world. 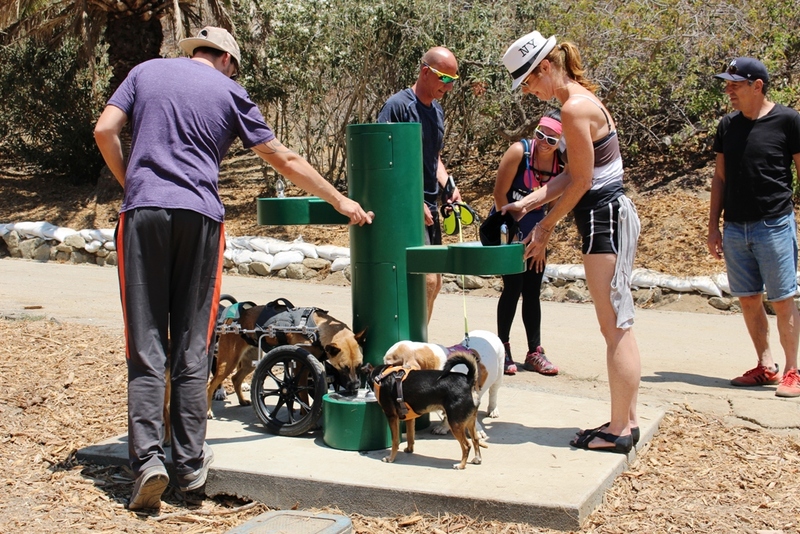 Dog-On-It-Parks is proud to offer fountains that are manufactured with “Green Building” friendly stainless steel, containing 75% recycled material. We have 15 water fountains to choose from including dedicated dog-only units, eco-friendly bottle fillers, ADA Accessible options and much more. Even better? They all have affordable and easy flat rate shipping across the lower 48. America’s 83 million pet dogs produce approximately 10.6 million tons of poop every year. Holy crap! Thankfully most pet owners take responsibility for picking up their dog’s waste, but depending on what kind of bag they use, they could be unknowingly harming the environment. Many dog waste bags claim to be biodegradable, but the materials within them do not fully break down as they require very specific landfill conditions. Our Good Human poop bags are made from 100% recycled content and have minimal packaging for a small carbon footprint. They are also FTC Compliant per the new Green Guidelines. 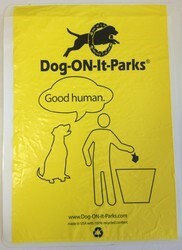 You care for the environment by picking up your dog’s waste, why not use a bag that helps Mother Earth even more?